This Leather Cover will hold an ipad or Kindle, featuring a handcarved bear embossed under leather. 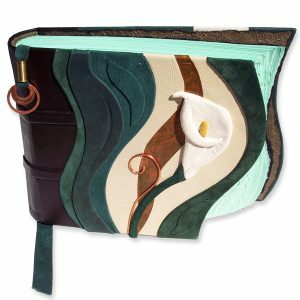 Three different leathers form three levels, with the red raised accent edged by silver wire. 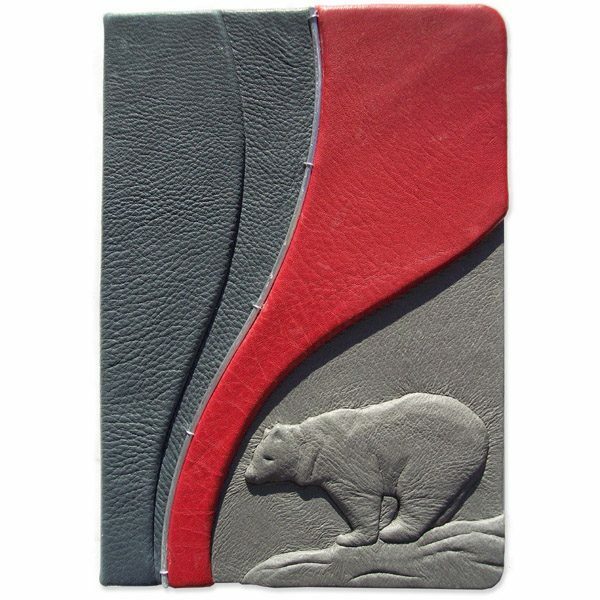 A Bear has been handcarved and embossed under smooth gray leather. 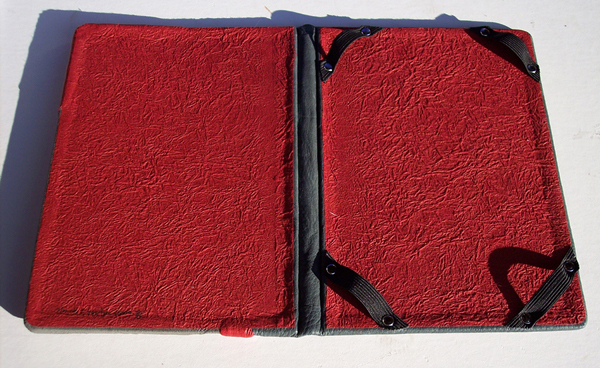 This ipad or Kindle Cover has been specifically made to perfectly fit an 8″ x 5.3″ x .36 Kindle. Feel free to request a custom size for your own Kindle, ipad, or screen device. The ipad or kindle is held into place and easily removed by the use of elastic straps, riveted onto the back leather cover. 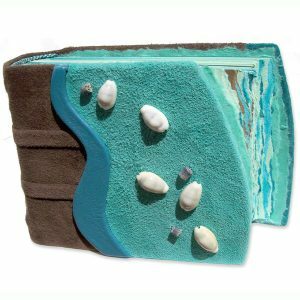 Handmade paper lines the interior of the Leather Kindle Cover and 55 pound tensile strength fabric reinforces the hinge under the grey deerskin for optimum durability. 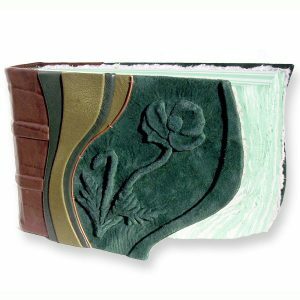 You are welcomed to CUSTOM ORDER an ipad or kindle cover in any size, color, or design theme.